Your guide to the local figures and businesses that got their names on the map. By Sandy Hingston·	 3/20/2019, 8:00 a.m.
Where do Pennsylvania town names come from, anyways? Photograph by ChrisBoswel/Getty Images. Everybody knows that Pennsylvania is named for William Penn and Philadelphia is named for Philip the Great. (Wait, it’s not?) But how about Lionville? Honey Brook? Who put that crook in Marcus Hook? Here’s your guide to 25 of the local heroes, artists, benefactors and businesses that got their names on the map hereabouts. Literally. Ambler: Named to honor Mary Johnson Ambler, who walked for two miles with medical supplies and took charge of rescue efforts after a disastrous train crash that killed 49 passengers in 1856. Trappe: Named for a tavern, the Trap, run in the early 1700s by German immigrant Jacob Schrack Sr.
Pottstown: Named for John Potts, the most successful ironmaster in the American Colonies; nearby Pottsgrove is (confusingly) named for him, too. Media: No one knows for sure; possibly from its location at the center of Delaware County. Downingtown: Named for John Downing, a Quaker immigrant from England who owned a number of mills. Honey Brook: A bad translation of the name of a Welsh town. The township of Honey Brook took this name when it broke off from Nantmeal Township; the translator took “meal” in “Nantmeal” to mean “honey,” but it was actually the name of a 10th-century Welsh prince. Elverson: This honors James Elverson, the owner of the Philadelphia Inquirer, who donated a stained-glass window to a church there in 1899. Langhorne: Named for Jeremiah Langhorne — not the Michelin-star-winning chef; the chief justice of the Pennsylvania Supreme Court who died in 1742. Camden: Named for Charles Pratt, 1st Earl Camden, a prominent member of the British House of Lords during the Revolutionary War. Marcus Hook: From “Marrites,” the name of an Indian chief who lived nearby, and “hook” for a promontory of land sticking out into the Delaware. In the 1700s, the settlement was a haven for pirates who preyed on ships in the river. Eddystone: Eddystone Lighthouse in Plymouth, England, so impressed Thomas Simpson on a visit there that he convinced his dad to name the family printing plant after it; the town was then named for the plant. Morton: Namesake of Sketchley Morton, a Revolutionary War major whose dad, John Morton, cast the deciding vote on independence at the Continental Congress. Weird, little-used, waiting-to-be-trendy first name there, soon-to-be moms and dads! Upland: Namesake of Uppland, a province in Sweden that has the highest concentration of Viking runestones known. Little-known fact: The original European name for the settlement that became the city of Chester was Finlandia. Lansdale: Taken from the middle name of Philip Lansdale Fox, chief surveyor of the North Penn Railroad. Guess “Foxytown” didn’t sound right. Trenton: Named for William Trent, a wealthy trader in goods and slaves who died on Christmas Day in 1724. Three slaves were later accused of poisoning him and hanged. Flourtown: There was a flour mill there back in the day. Yardley: Named for Quaker minister William Yardley, who bought 500 acres of land there from William Penn in 1682. Yardley, his wife and their three sons were all wiped out in two subsequent smallpox epidemics. 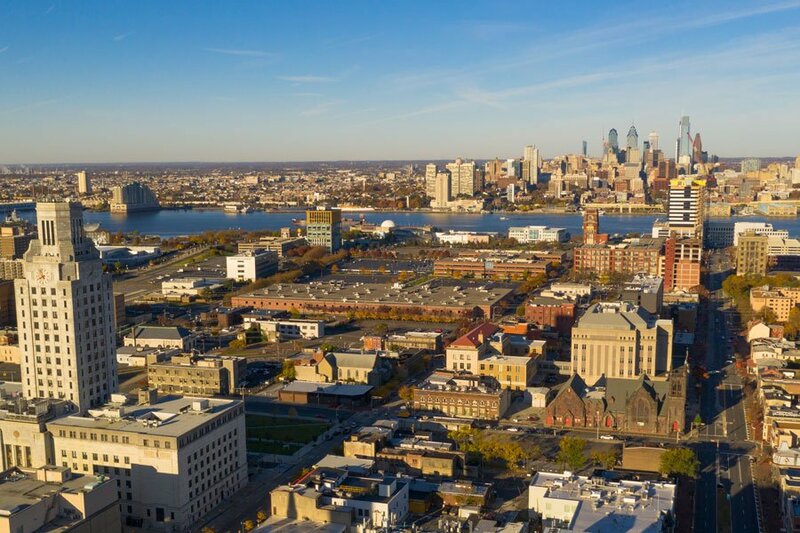 Oreland: Named for the ore and lime deposits found near there; in the 1690s, William Penn ordered the Limekiln Pike, one of the area’s first roads, built from Thomas Kirkpatrick’s, well, limekiln there to the Delaware River to facilitate commerce. Lime is a calcium-containing mineral used in creating cement, concrete and mortar. Audubon: Named in 1899 for bird dude John James Audubon, who had a house at Mill Grove earlier that century. Collegeville: The name actually predates Ursinus College, which was founded there in 1869; the town was named for the Pennsylvania Female College, a four-year liberal arts institution that closed in 1880. Lionville: It couldn’t be named Red Lion for the local inn, since there was already a Red Lion in York County, named for its local inn. So it got stuck with just Lionville. Why so many Red Lion Inns? It’s said to be the most common name for a pub in the U.K. and refers to the heraldic Red Lion of Scotland. Exton: Though it’s probably named after one of the several towns of Exton in the U.K., we prefer the rumor that the town, located where Route 100 and Route 30 cross, was named for the X that intersection forms on a map. Haddonfield and Haddon Township: Both named for Elizabeth Haddon, an unmarried Englishwoman who set sail for America in 1701, at age 21, when her father became too ill to travel to the 500 acres of land in Gloucester County that he had purchased but had to take possession of in person within six months. Blue Bell: Originally known as Pigeontown for the large flocks of (now extinct) passenger pigeons living there, it was renamed in 1840 after the local Blue Bell Inn. Too bad; “Pigeontown” sounds fun. Not to be confused with Lancaster County’s Blue Ball, also named for an inn and not an uncomfortable consequence of unfulfilled sexual arousal. King of Prussia: Named for the King of Prussia Inn, which in turn was named to honor King Frederick the Great. One theory is that the inn, originally known as Berry’s, was renamed to convince Prussian soldiers fighting in the Revolutionary War to stick around afterward.